Saint Theresa Parish was originally created on October 4, 1934 by Bishop Maurice F. McAuliffe of Hartford. 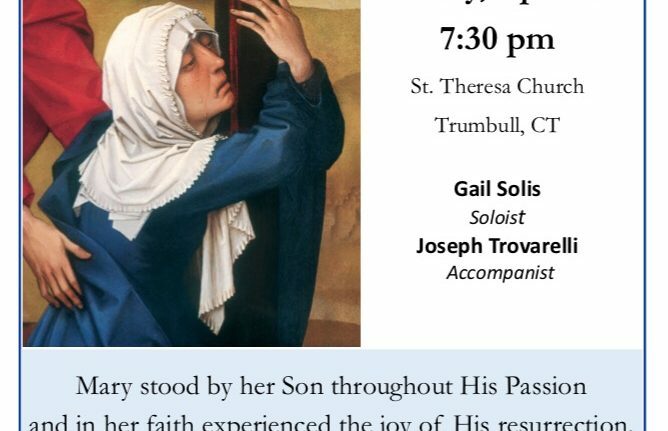 Aware of the spiritual needs of the people of Trumbull, the Bishop made Saint Theresa’s the first Catholic Church in Trumbull, and dedicated it in honor of Saint Theresa, the Little Flower of Jesus. Bishop McAuliffe dedicated the original small white frame church on September 22, 1935 so that Saint Theresa’s functioned as a true parish. The original church was a classic New England colonial design that could seat some four hundred people, and the neighboring McLevy homestead became the parish rectory. In 1960, Bishop Lawrence J. Shehan gave permission to construct the present cathedral-like granite and limestone church building, which was dedicated by Bishop Walter W. Curtis on April 1, 1962. 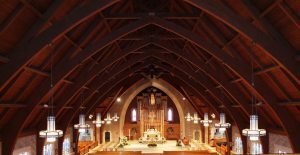 Today, Saint Theresa is considered the Mother Church of Trumbull and is currently blessed with over 3,100 parishioner families, and several active ministries. 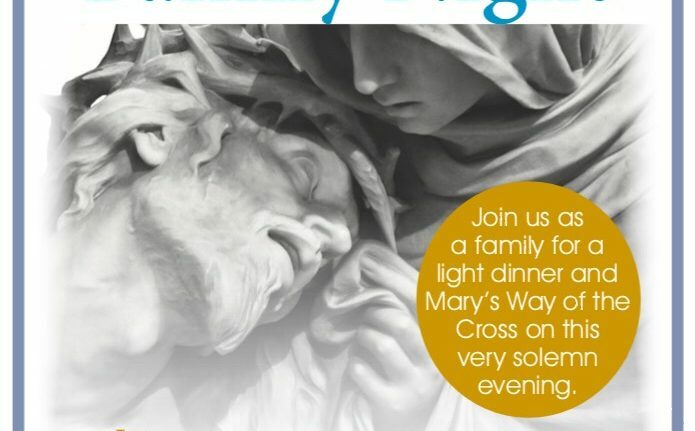 We invite you to join us for Mass, Eucharistic Adoration, Confession, or Devotions. Take a tour of our website, and follow us on social media. New parishioners please visit our Parish Office to register in person! Our Lady of Fatima Chapel opened on October 1, 2017 Visitors are welcome to join us 24 hours per day, 7 days a week, for Perpetual Eucharistic Adoration. Would you like to visit during sacrificial hours (11PM-5AM)? 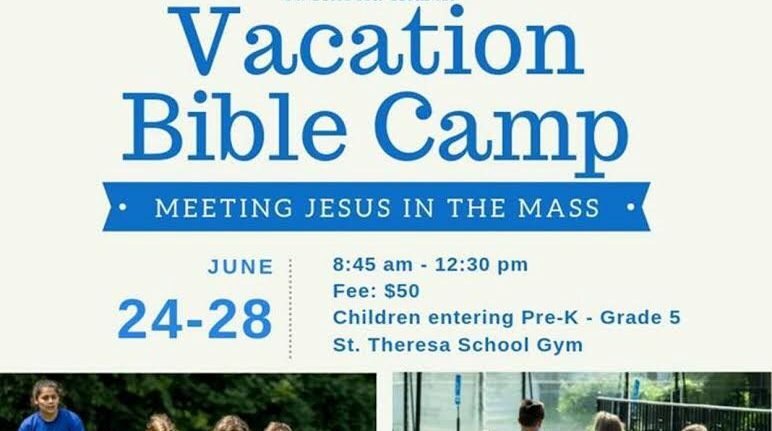 Contact the Parish Center for further information to obtain access.